Based in Littlehampton, West Sussex, we offer homeowners and businesses across the region a comprehensive gate and garden fencing supply and installation service of the highest quality. 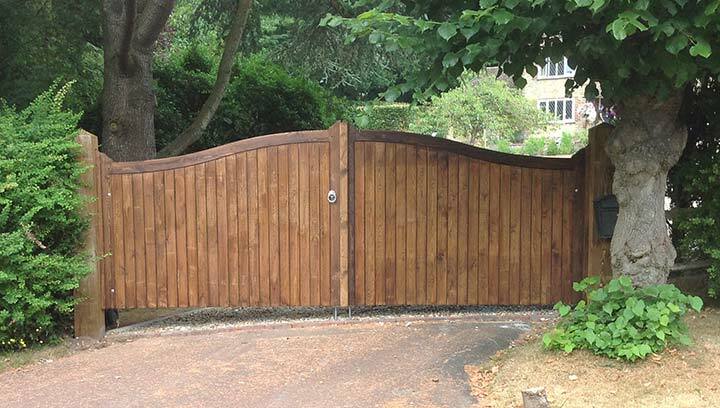 Established in 1990 we have provided domestic wooden garden fences and commercial fencing and gate installation services for over 27 years, taking pride in a service that is highly recommended by previous clients for our dedication to quality and service standards. We astound all our clients with quality wooden fencing that is both stunning and durable. Our team utilise years of experience to supply our clients with stunning fencing panels and garden fencing installations. If you would like to find out more or enquire about getting your own wooden fencing installed; give us a call today on 01903 725232. We will be on hand to provide you with any information you need and will even arrange for a FREE site survey and no obligation quotation. We only supply and install the very best wooden fencing and gate products and ensure our communication and workmanship always exceeds your expectations leaving you with a great looking fence that stays that way for many years to come. We reach and maintain these quality standards by staying focused on what we know; we can recommend someone to lay patios, driveways or remove trees, but we aim to specialise. For our clients this means we always deliver the exceptional quickly, efficiently and at a competitive price. Many of our garden fencing and gates team have personal experience reaching back further than the company, and have been working with us for many years. They are a team we can rely on for consistently superb work and professional but friendly service that is really personalised to each individual client. Whether commercial or domestic customer you get the right products, expertly installed and an on budget, on-schedule service tailor made to your requirements. We are members of the Local Authority approved Trade Register meeting various benchmarks and standards and you can also find us on the Check-a-Trade website. This site allows previous customers of ours to leave honest feedback about our workmanship and customer service; we are proud to have feedback from over 400 previous customers who have given us an average rating of 97%; click here to see our Check-a-Trade recommendations. Based in West Sussex, we carry out complete fencing installations for commercial businesses and private homeowners throughout the local region. Recent installations have been completed in Worthing, Hove, Brighton, Bognor Regis, Steyning, Angmering, Haywards Heath, Midhurst, Rustington, Shoreham, East Preston, Pulborough, Ferring, Goring, Crawley, Littlehampton, Horsham, Billingshurst, Arundel, Chichester, Emsworth and Portsmouth. Let us help you add those finishing structural touches with the design and build of beautiful timber pergolas with designer decking or construction of sheds and summerhouses. Of course, we also welcome enquiries at any time, from fence panels to commercial gates and domestic fencing of all kinds, experienced members of the team are always on hand to answer questions; contact us at New Place Fencing today to arrange your no obligation survey and estimate.